On the 22nd of October (Saturday), Krakow will celebrate the third anniversary of becoming the UNESCO City of Literature. On this occasion, the operator of the UNESCO programme in Krakow – the Krakow Festival Office – has prepared some special attractions. Join the celebrations! 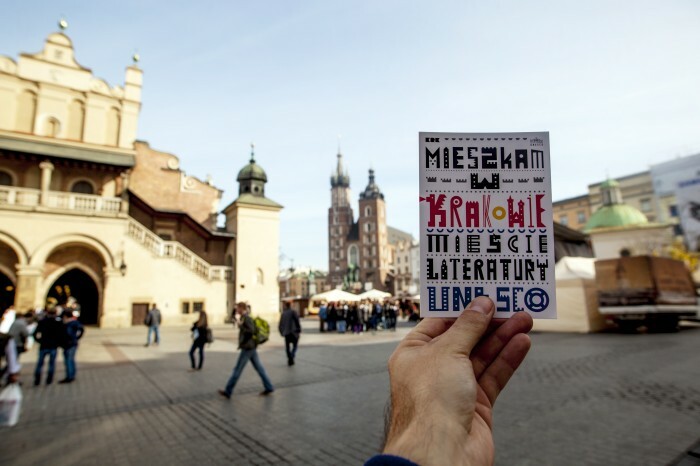 On the upcoming Saturday, we are once again going to see the large format letters reading KRAKOW UNESCO CITY OF LITERATURE in the Main Market Square as part of the anniversary celebrations. This way we want to once again emphasise the literary identity of the city. The letters will also have a new, refreshed look, referring to the works of the Polish school of illustration, presented at the ongoing exhibition Snakes, daggers and rose petals at the Art Bunker Gallery. They were designed and made by the visual artist from the Krakow Academy of Fine Arts, an illustrator, graphic artist and author of comic books – Agnieszka Piksa – whose works are exhibited in the popular Bunker, as part of an event accompanying this year’s Conrad Festival. On that day, you will also have an opportunity to meet the animator dressed up as a dragon, who will give out commemorative balloons to the lucky residents and tourists. The celebration of good second-hand literature – a special edition of the Krakow Book Market will take place in the complex at Powiśle 11 from 10:00 a.m. to 6:00 p.m., as part of the celebrations. The visitors will be able to take advantage of the offers presented by Szafa Pełna Książek – a bookshop, cafe and antique book store from Podgórze, 9 Wrota and Antykwariat Abecadło,Sofa Literacka from Katowice and booksellers from the Market Hall. It is worth bringing the whole family – there will be comics drawing workshops for kids, and a demonstration and lecture on emigration publishers for the older readers. Everyone is also invited to the neighbouring Metaforma Cafe, where you can receive a 10% when you show a book bought at the market. 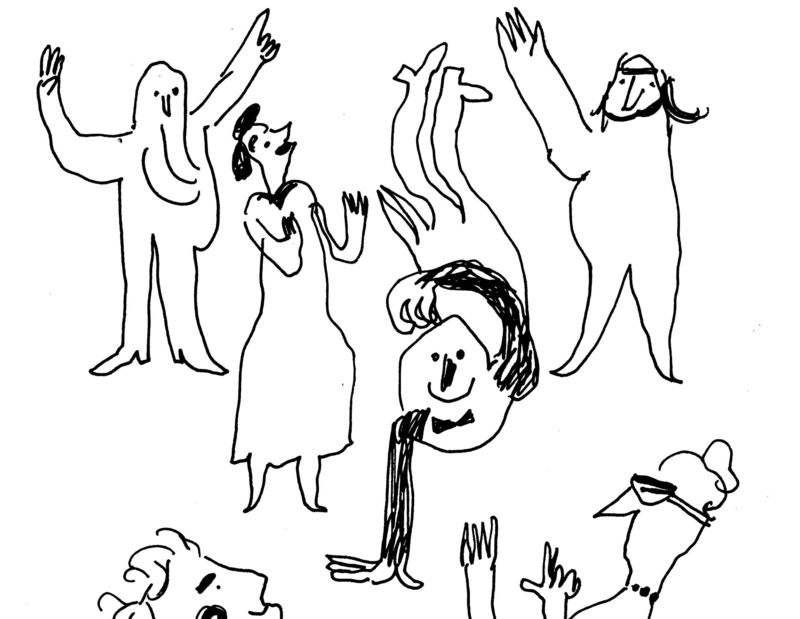 Conrad Festival – starting on Monday! The celebrations of the 3rd anniversary of receiving the UNESCO City of Literature title all foreshadow the 8th Conrad Festival, starting on Monday in Krakow. This year’s festival meetings, scheduled to take place in the unique space of the Czeczotka House at the corner of Wiślna and Św. Anny streets, will be attended by an impressive team of writers from all over the world, including Michael Cunningham, author of The Hours, an outstanding Australian writer – Richard Flanagan, the youngest Booker Prize laureate – Eleanor Catton, Géza Röhrig, a Hungarian writer, poet and actor performing the leading role in Son of Saul, as well as Samar Yazbek, Michel Faber, Andrzej Stasiuk, Artur Domosławski, Wojciech Górecki and many more. On the 22nd-23th of October, the replacement of plaques on literary benches scattered around the Planty Park will begin. Over 150 plaques commemorating the most outstanding writers connected with Krakow and the selected guests of literary festivals will now have an updated design. Every plaque has a unique QR code, allowing to access multimedia content connected with each and every writer: fragments of texts, archive recordings, a short biography and a photograph. The Creative Cities Network is a UNESCO programme launched in 2004 in order to promote the economic, social and cultural development of the cities, based on the principles of creativity and sustainable development. UNESCO distinguishes cities with the Creative City titles in many categories, including music, literature, film, gastronomy, artistic crafts and folk art, design and visual arts. The capital of Małopolska received the City of Literature title in 2013 as the very first Slavic city and the second non-English speaking city in the world. UNESCO appreciated not only the centuries-long heritage of the city of Szymborska, Miłosz, Lem, Mrożek and Kantor, but also the status of a leading Polish academic and intellectual centre, the fact that Krakow has been hosting the leading Polish literary festivals – the Conrad Festival and the Miłosz Festival, the fact that the Book Institute is based in the city, the largest Book Fair in Poland take place here, and that the city is characterised by concentration of the publishing and book selling sector. Since then, Literary Krakow has been on a new path. The long-term strategy of promoting readership, supporting writers and the local book market, entered into the application prepared by literary groups of the city was adopted by the resolution of the City Council. Additionally, the city programme for developing cultural life in book stores and a strategy of supporting debuts, comprising the Conrad Award for the best prose debut established in 2015 was announced, along with the UNESCO City of Literature Creative Writing Course. The process of combining libraries in Krakow and supporting the activities of local branches is currently ongoing. Moreover, as part of the Czytaj PL (Read PL) campaign, a network of free e-book libraries took over the streets of six Polish cities last year, the Conrad Festival and the International Book Fair break the popularity records each year, the Miłosz Festival takes place annually, along with the Wisława Szymborska Award Gala, symbolically renewing the tradition of the meetings of Poets of the East and the West, initiated by the two Nobelists. Krakow was also given reins of the Cities of Literature network, presiding over the works of the Steering Committee, which approves new applications for the network.